With a baby, there’s no such thing as traveling light. Transporting heavy strollers and baby gear from one location to another isn’t exactly easy, especially when your own luggage is also in the mix. But the creators of a new app, goBaby, want to make family trips easier by eliminating the need to bring along your baby’s gear. 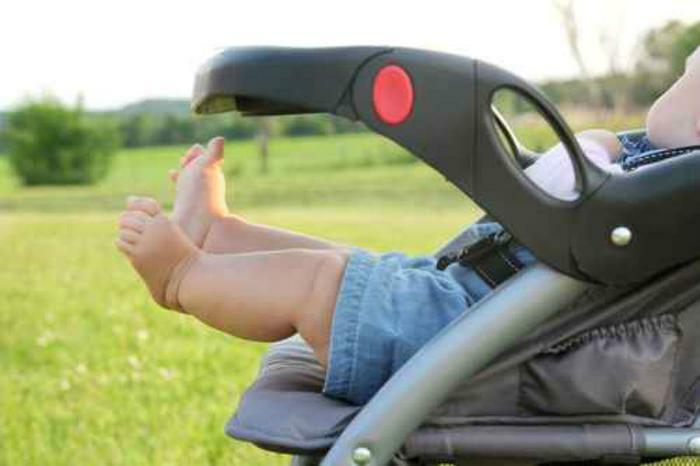 With goBaby, parents can leave their child’s stroller, car seats, and other equipment at home without having to do without these necessary items. After downloading the app, renters select the category of equipment they’re interested in renting and browse nearby baby equipment. From there, families can submit a booking request and set the dates for delivery, pickup, or dropoff. The process is equally simple for equipment owners: simply take a photo of the item you want to rent out, write a description, set a price, and choose whether you would prefer the item to be picked up by the renter or delivered by you. The peer-to-peer mobile marketplace has been beneficial to moms like Ksenia Bolobine, who says renting out her child’s old car seat, strollers, high chair, and other items has helped her feel as though her baby gear was being put to good use prior to the arrival of baby number two. The app-based baby equipment rental marketplace is rolling out first to families planning a trip to New York City, but it will be available in other cities soon. goBaby is available as a free download on the App Store.